Pure Spirits Lofts and Condos. 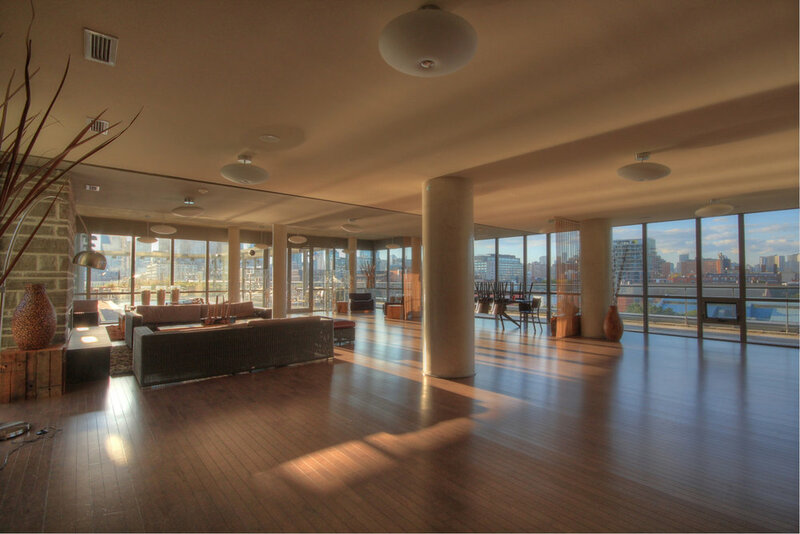 Amazing view from this 869 sq ft sub-penthouse condo! 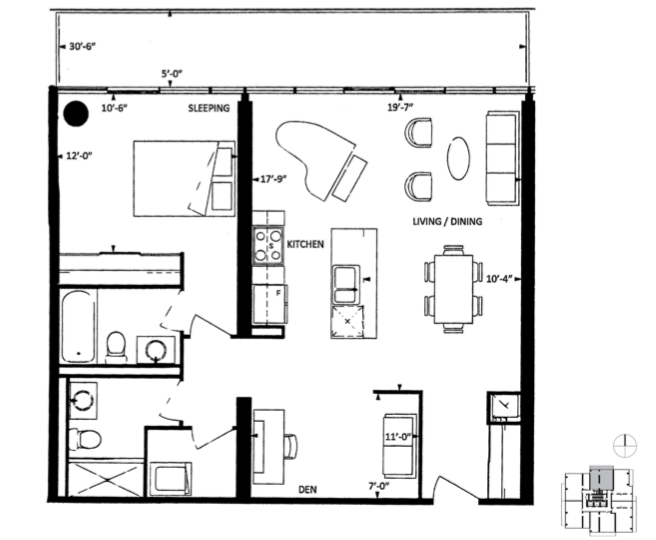 Originally designed as a one bedroom plus den, but den is currently used as a living room. 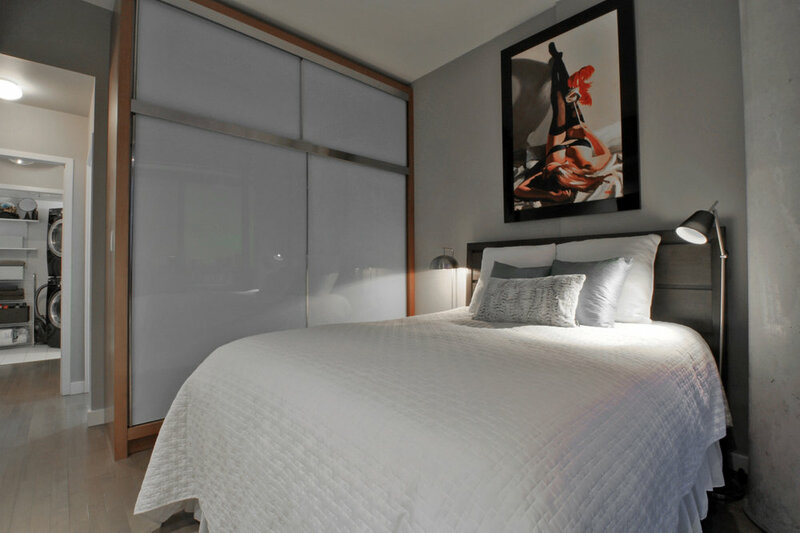 Can be easily converted to a second bedroom. 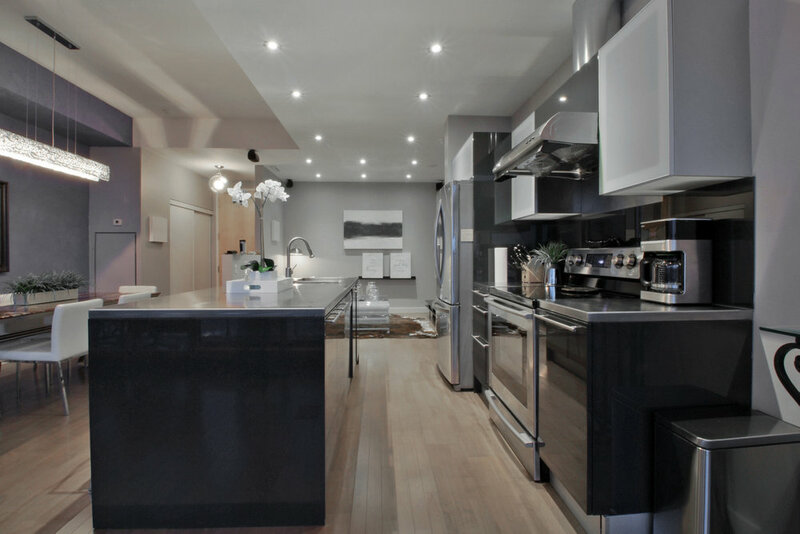 Two full bathrooms, large steam washer/dryer, designer lighting fixtures, stainless steel appliances with large centre island, built-in speakers. 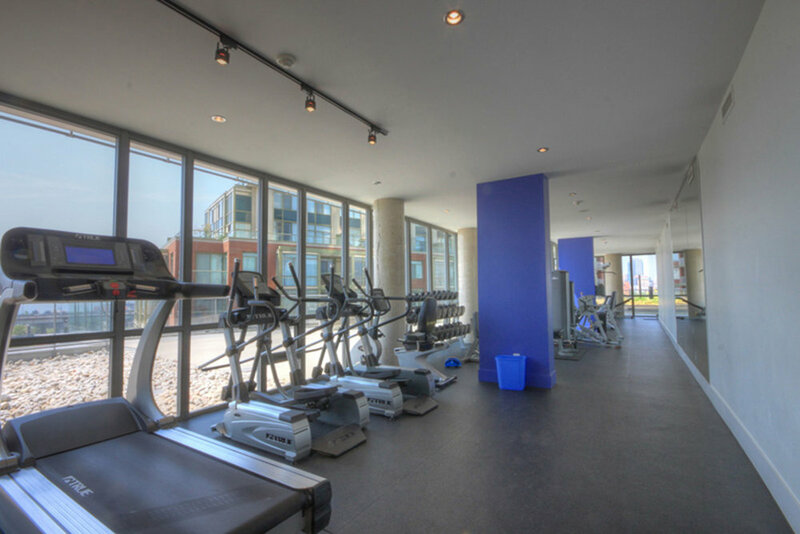 Amenities include gym, sauna, party room, guest suites, and the best pool deck in Toronto! 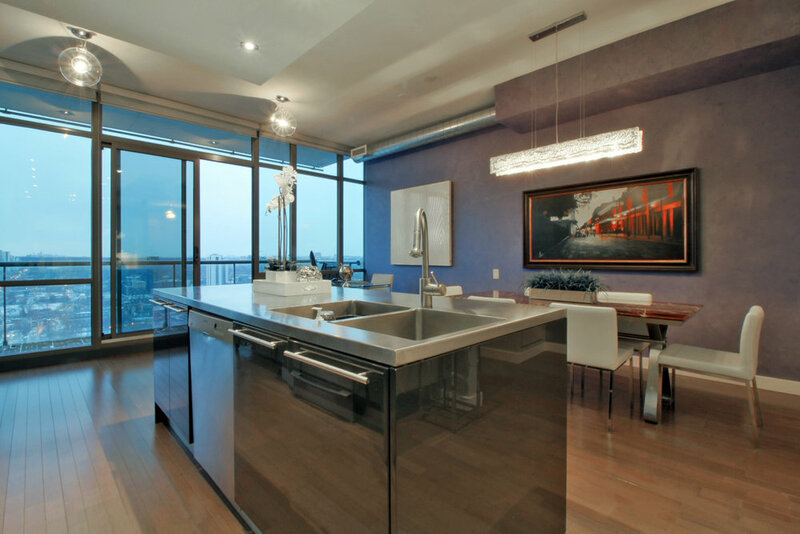 Extras: Included: Appliances (LG Fridge with filter water/ice, Samsung convection range, Bosch dishwasher, hood fan), island, LG steam washer/dryer, jacuzzi bathtub, window coverings, Artemide lighting fixtures, Polk Audio speakers, TVs and mounts. Best pool deck in Toronto!